I am probably late to the game. 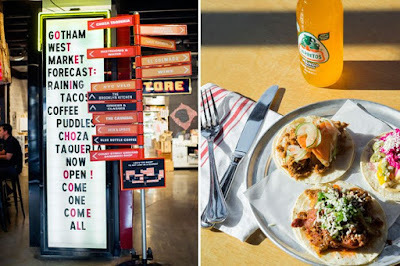 I became aware of "food halls" being A THING only in the past year, during our travels. The most popular joint that comes to mind is The Plaza Food Hall by Todd English in New York's iconic The Plaza Hotel. 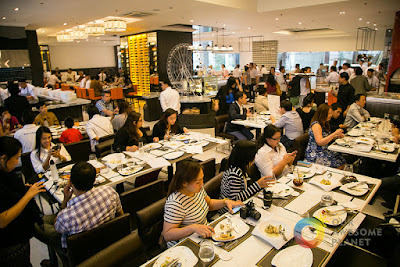 And soon enough, The Food Hall by Todd English made its way to my home country, right in the heart of Taguig City (Metro Manila) -- our old stomping grounds. Think about this: Todd English Food Halls are in 2 cities worldwide: New York and Manila! To my readers who have never been to my beloved city, it gives you a picture on how the food scene out there is a thousand steps ahead than most cities I have been to. We love our food and we shamelessly indulge in culinary adventures (read: we are not afraid to try all the new things). 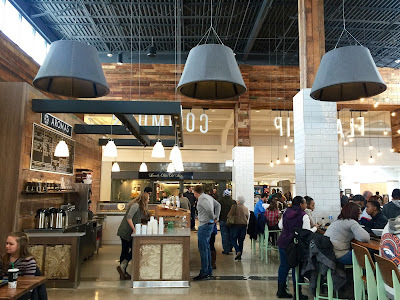 On our most recent NYC trip, trips to food halls were frequent places for a quick bite or friend meet-ups, like Gotham West Market, City Kitchen, and Eataly. So let the drum roll begin. I am ecstatic at the fact that as of today, a food hall is now open in our very own backyard! I've been waiting for this spot to open for months -- curious to see another layer of our local food game (which has been growing significantly in the past year). 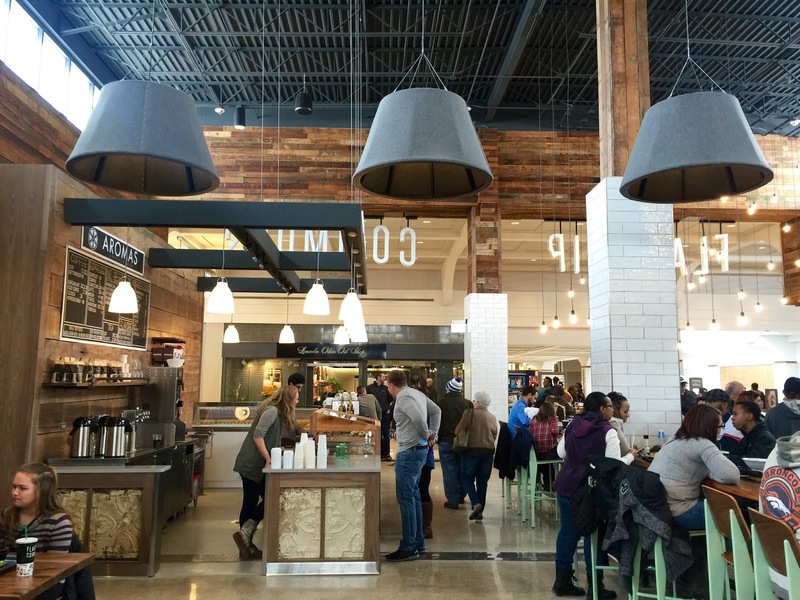 Flagship Commons, the first food hall concept to hit the Nebraska Plains, by innovative, Omaha-based Flagship Restaurant Group, is located within Westroads Mall at 10000 California Street in Omaha. It opened TODAY and experienced a fresh way to dine in this city. Go stare at that last posted photo. I had TWO filling YUM YUM Bowls from Yum Roll. It's a lot like the burrito bowls you usually find in modern Mexican eateries. But Asian. Like Korean BBQ. And Green Curry. If any one of you know me well, Asian Food trumps everything else in my palate. So this was heaven to me. Best part of this: this awesome food hall is donating a portion of every diner's purchase this opening week to ABIDE. This means more funding for our programs. This means more lives will feel the impact of this generosity. This means another resource to help us pursue our vision that one day in Omaha, Nebraska, there will be no inner city. 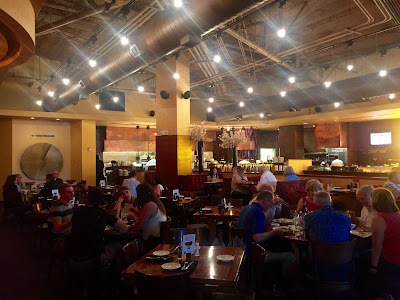 If you live in the greater Omaha area, make plans this week to support: 1) our growing local restaurant industry and 2) ABIDE's programs so that we can continue to do what we are called to do. Thank you Flagship Commons for providing a place, a reason, and a purpose to gather. Christmas ... my favorite season of the year! I am one of those people that get into the holiday spirit a second after Halloween. Decorations are being put up and we are planning on buying a Christmas tree this weekend! This also means immersing ourselves with Christmas entertainment. We really get into it! 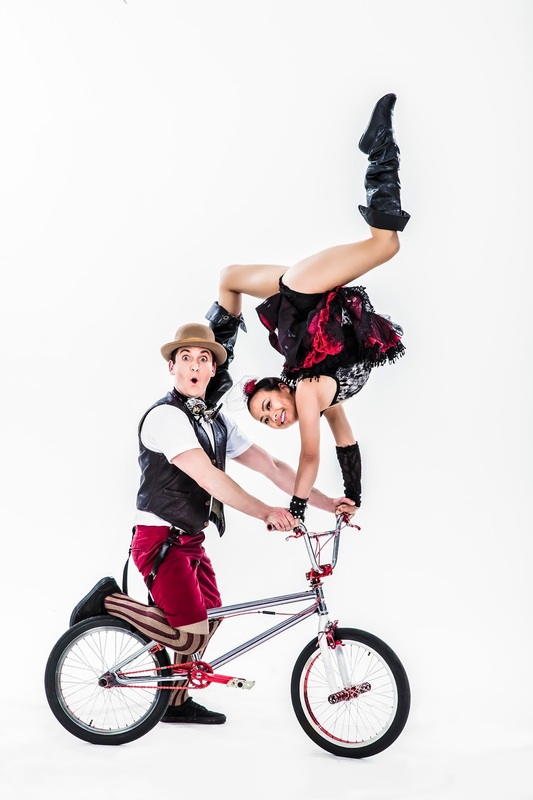 The movies, the songs, and the hunt for this season's family shows in the city. 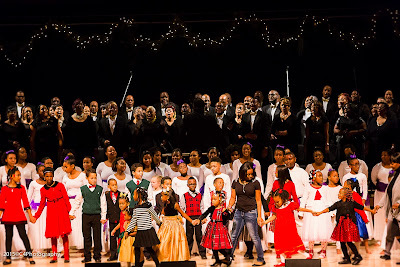 I want to give an extra-special shout out to Joyful Noise -- A Gospel Christmas featuring Salem Baptist Church. Salem is literally my neighbor. My office is right across their beautiful property. Looking forward to watching our brothers and sisters bring a full-on Gospel Christmas show! I have a holiday treat for you. 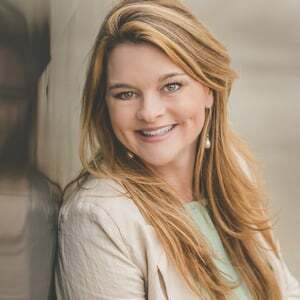 I am giving away 2 tickets to Joyful Noise! Getting a chance to win is super easy. All you need to do is leave a comment below with your e-mail address. You will be entered into a drawing for this giveaway. I will announce the winner on November 29th! Have a wonderful holiday season in this city!